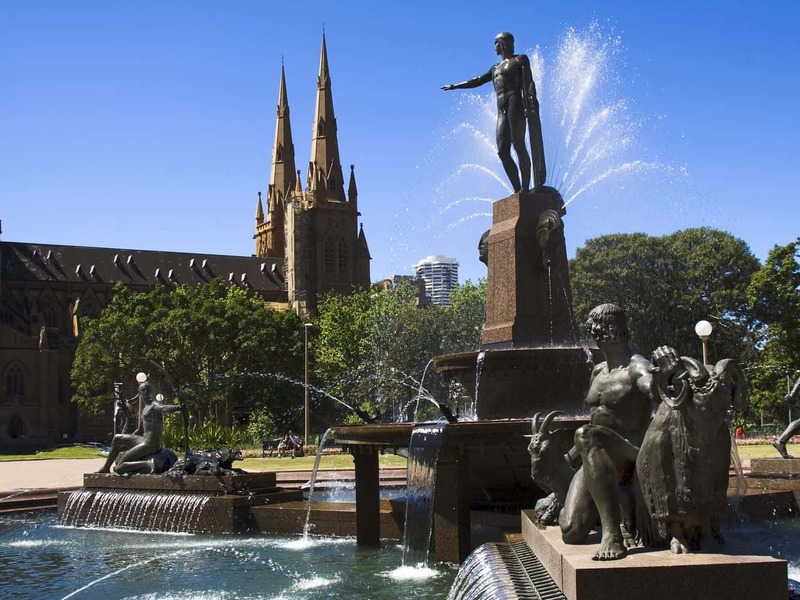 The Archibald Memorial Fountain is an outstanding landmark in Sydney, and one of the most-loved features in Hyde Park. 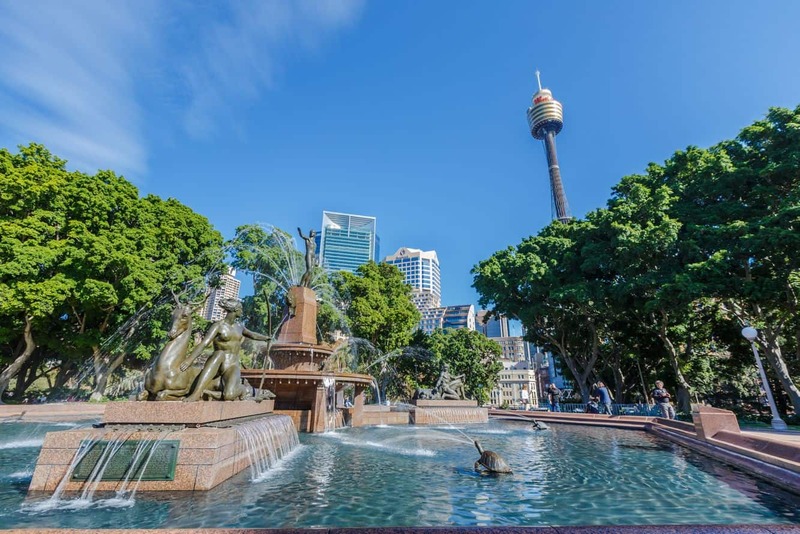 The fountain was the brainchild of JF Archibald who stipulated in his will that a part of his estate should be dedicated to the creation of an open-air memorial complete with an electric fountain in any of Sydney’s public gardens. 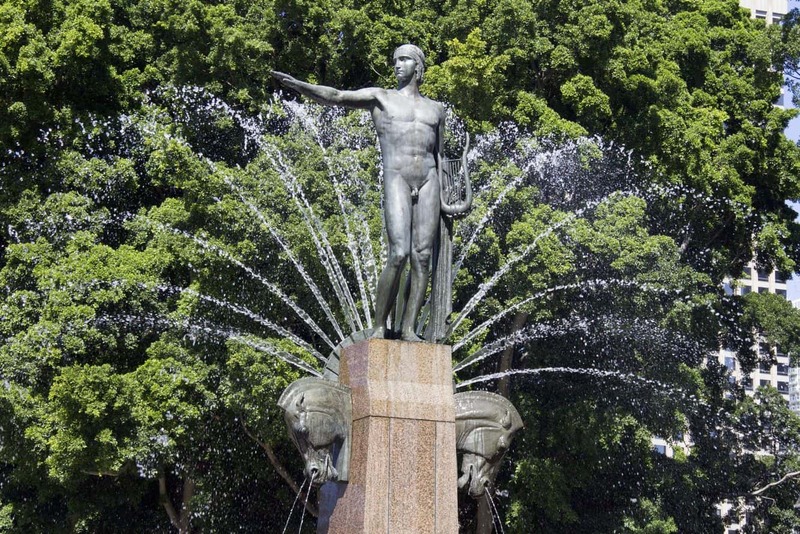 Following Archibald’s death in 1919, the planning and design of the fountain were put on hold to allow for more money to come in before construction was eventually completed in 1930. The memorial fountain was brought to life by renowned French sculptor, Francois Sicard. It commemorates the connection between Australia and France during the First World War, with its primary themes inspired by antique designs from Greece. The fountain measures about 18 metres in diameter and is a hexagonal shape. The central raised figure is a bronze Apollo, and behind it is an arch of fine sprays that depicts the rising sun. This is further complemented by the collection of water sprays that are directed into three basins. A closer look at the fountain also reveals that tortoises and dolphins direct water jets towards the centre of the fountain. 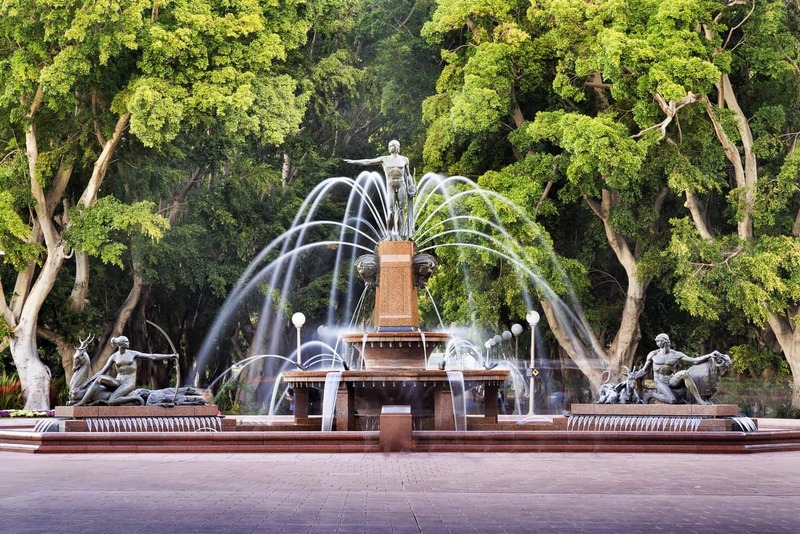 So famous is the Archibald Fountain that it is known to be one of Sydney’s most iconic recreational spots. Both locals and tourists make their way to the park to sit and unwind in the open space that is surrounded by blooming flower gardens. There are park benches available for visitors that also make this spot a favourite for city employees during their lunch hour. 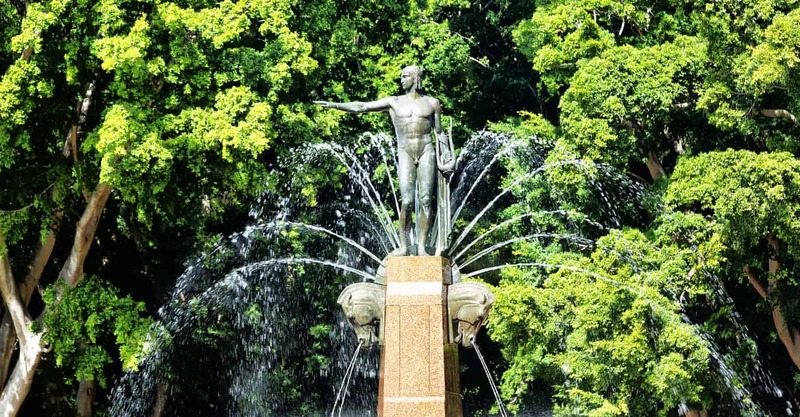 Other attractions close to the Archibald Memorial Fountain include the ANZAC War Memorial, the Nagoya Gardens, as well as the Sandringham Gardens – all of which are within walking distance of the fountain. To get there by train, alight at St. James station, which is the closest station to the memorial.